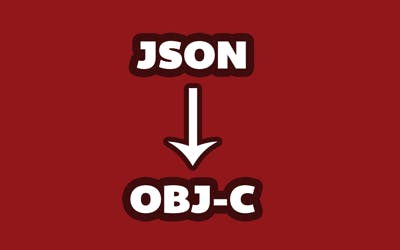 Parsing JSON responses into Objective-C Objects can be tedious. In this episode, we start development on a smart JSON parsing class that can alleviate some of the mundane work usually required for this functionality. The solution recommended here, however, is to modify a system script, which is not something I usually like to do. Remove the Test Host setting from the target's build settings. If you get an error about "No active architectures", then you can add ACTIVE_ARCH_ONLY=NO. Once this works, you can use the gist linked above.